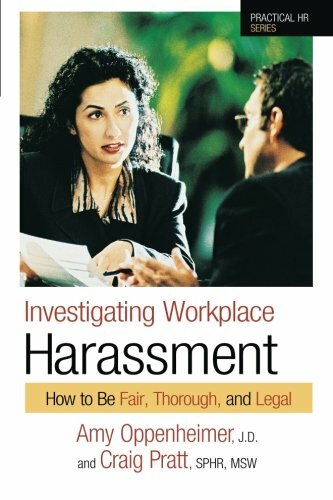 Detailing specific, experienced-based techniques for conducting investigations of harassment based on gender, race, religion, national origin, age, or disability, this tutorial provides advice on every step of an investigation—planning, documenting, interviewing, weighing evidence, making a decision, and taking remedial action. General principles are illustrated with examples drawn from specific situations or lawsuits. Appendices include such information as a model harassment policy and a sample memo initiating investigation.